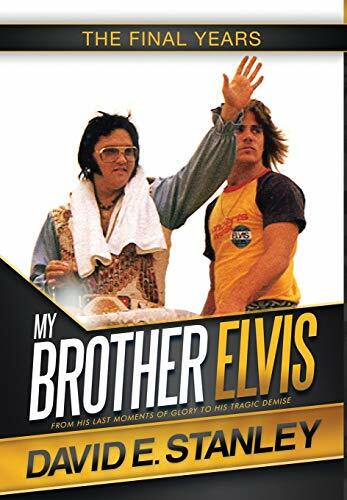 In My Brother Elvis, David Stanley shares his harrowing experiences while on the road as a 16 year old bodyguard to the King of Rock n’ Roll. The final 5 years of Elvis Presley’s life were filled with his greatest triumphs and his toughest tribulations, as the iconic star fought a war with addiction he would tragically lose at the age of 42. Though surrounded by those who loved him and revered around the globe, Elvis battled the demons of fame, depression and loss, and those demons eventually proved too strong a foe. Despite the efforts of his family and friends, Elvis Presley eventually succumbed to his addiction on August 16, 1977, leaving a trail of devastation and loss felt worldwide to this day. In sharing this intimate account of his stepbrother, David hopes to reach those who are also suffering from addiction—some 15 million from prescription drugs in the US alone. Though many never knew, Elvis was famous for far more than music, as he was the ultimate giver to those around him. In this spirit of giving, David is revealing and laying bare the cold, hard realties of addiction, in the attempt to help as many addicts as possible recover successfully from this often-fatal disease.